Shaykh Muhammad ibn Sālih al-Uthaymīn (رحمه الله) in explanation of the Dua of Qunūt, mentions a tremendous benefit relating to diseases. 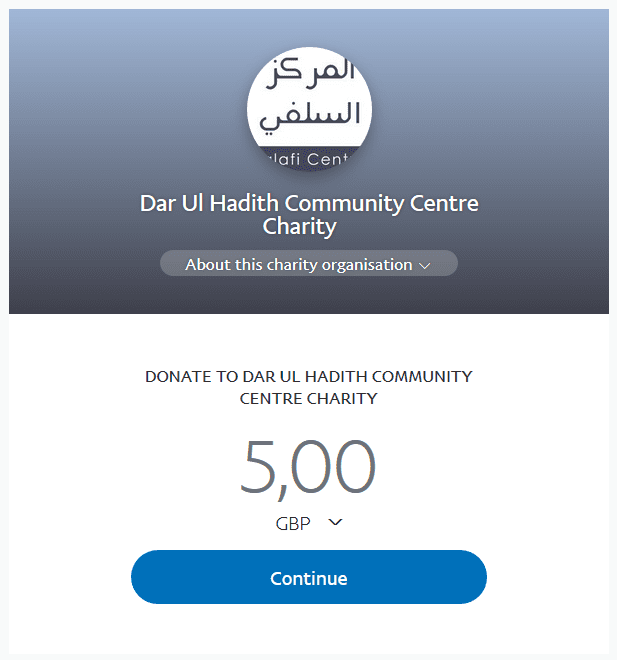 He said, that when supplicating for health and wellbeing the Muslim should bring to mind the diseases of the body and diseases of the heart (those which affect your religion). This is because diseases of the heart are more severe and harmful than the diseases of the body. The first disease is the Shahawāt and its origins are whims and lusts. (Meaning) a person knows the truth, however he doesn’t want to follow it due to his desires and whims being in opposition to that which the Prophet (عليه السلام) came with. The second disease is the disease of shubuhāt (i.e. beliefs, ideas, thoughts that are made to resemble the truth but are falsehood in reality), and its origin is ignorance, because the ignoramus acts upon falsehood whilst thinking thaf it is the truth. And this is an extremely dangerous sickness. 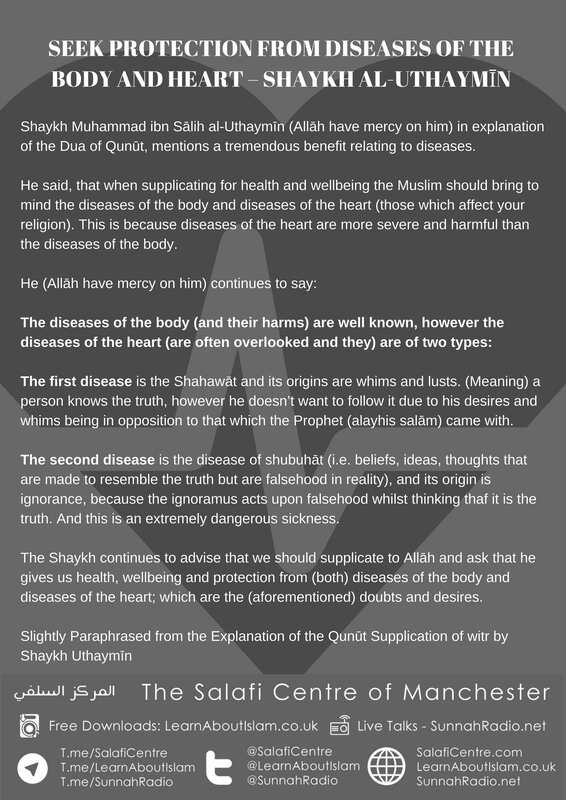 The Shaykh continues to advise that we should supplicate to Allāh and ask that he gives us health, wellbeing and protection from (both) diseases of the body and diseases of the heart; which are the (aforementioned) doubts and desires.